Well, today was one of those days. First, I attempted to “veganize” and “de-gluten” my mom’s famous cinnamon rolls. Unfortunately, my cupboards were missing several key ingredients so the end product just ended up kinda sucking. Macros aren’t **too** shabby per scone either: 207 calories, 35g carbs, 8g protein, 5g fat. PS – you could easily get the carbs lower if you added more Jacked on the Beanstalk Vegan Protein Powder (chocolate) and less flour, subbed the soy creamer for unsweetened almond milk and the pure Canadian maple with **shudders** Walden Farms calorie-free pancake syrup. Preheat oven to 400 degrees F. Combine all dry ingredients in medium-sized bowl and all wet ingredients in smaller bowl. Slowly add wet ingredients to dry and knead into dough. Dust more gluten-free flour on flat surface and roll dough into a thick-ish circle. Haha wow, my recipe methodology is terrible, huh? I really need to just stick to vegan bodybuilding. ANYWAY, cut dough circle in half to make two semi-circles then cut each semi-circle in half and cut each piece once more to make eight even-sized triangles. Line a baking sheet with parchment paper and evenly space out/place each dough triangle onto tray. Bake for about 20 – 25 minutes until golden brown. Allow to cool then frost if desired. Thoroughly blend all ingredients in food processor or blender until desired “whipped” consistency has been achieved. Happy gluten-free baking, kids. Enjoy! Haha thanks Carmi!! And oh yes! I’ve had my shares of hits and misses fo’ sho’!! 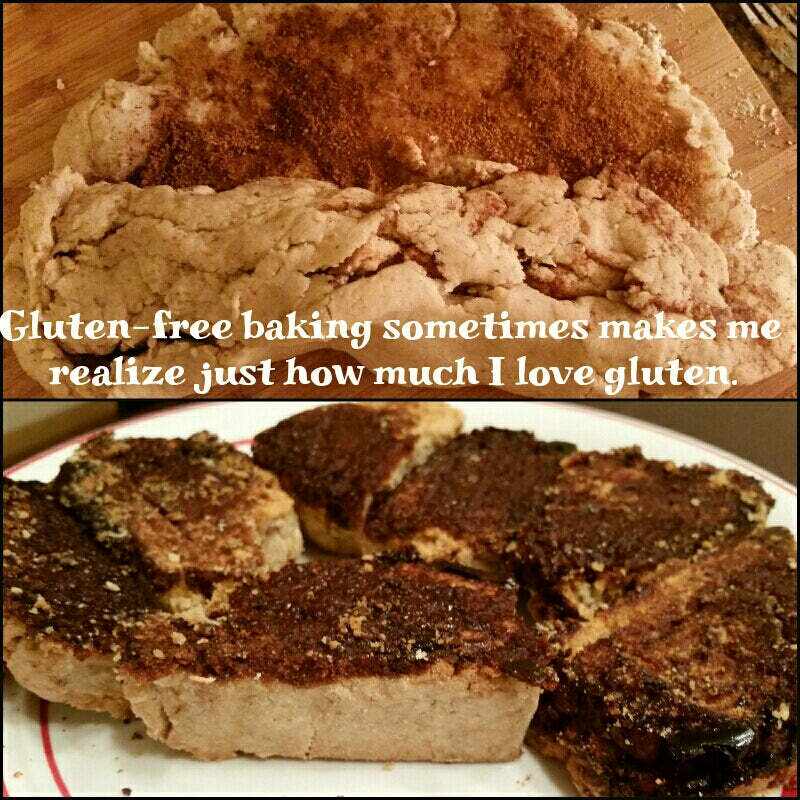 Gluten free baking…don’t want to go there again..always ends up a disaster. Looks like you figured it out Sam. You go girl! I married the only vegan Minnesotan workout freak I could find, and I couldn’t be happier. Congrats on finding your own!